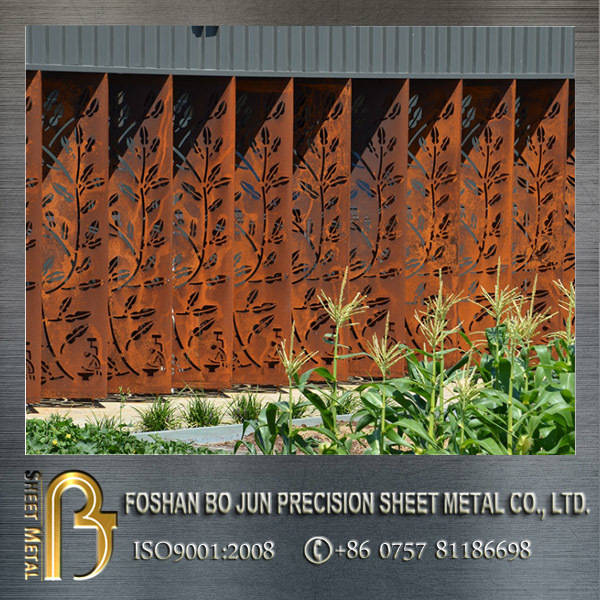 We offer custom service on decorative laser cut screen, fence, panel of different materials to customers' specifications and drawings. 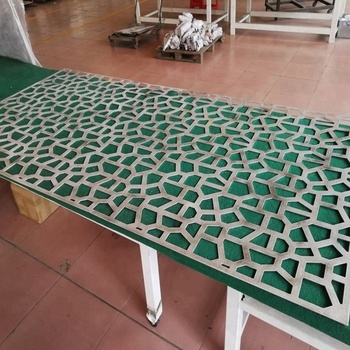 Laser cutting parts:precise, clean cutting and often does not require further processing.Ideal for carbon and stainless steel sheet metal, and intricate patterns. A fast,repeatable and highly accurate process which is ideal for high production runs. Notrecommended for conductive materials like copper. 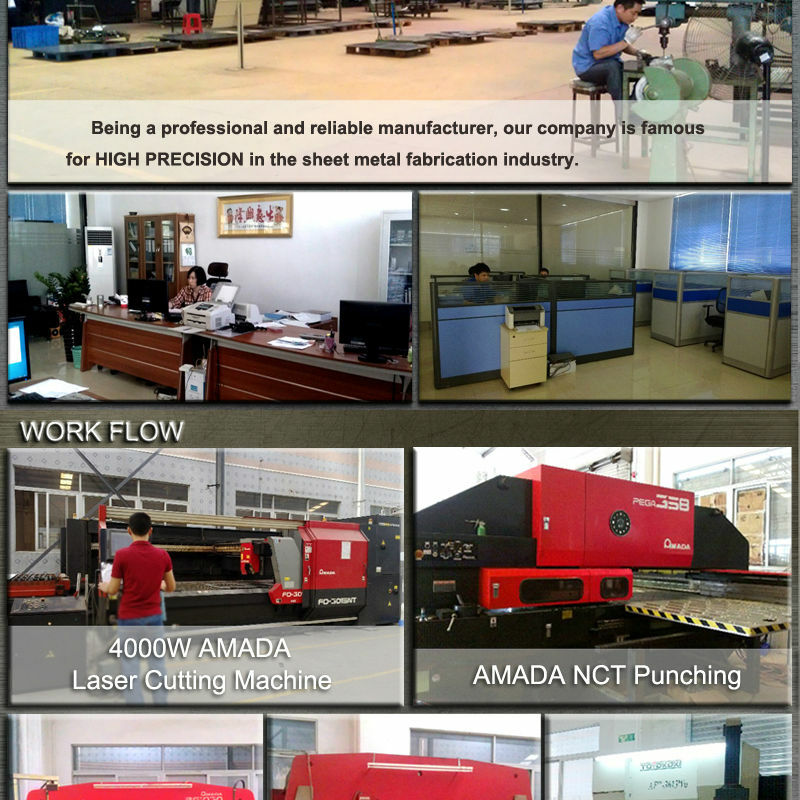 A computer controlled high power laser beam is focused on the workpiece and the resulting heat energy melts or vaporizes the material. 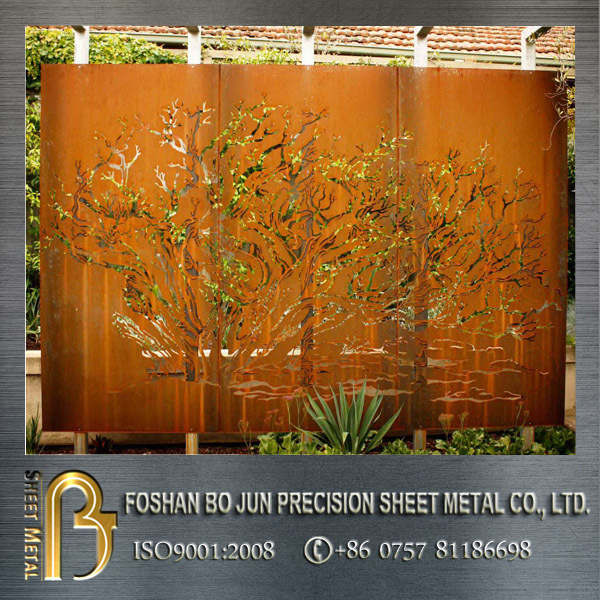 Any resulting molten material is blown away by pressurized gas during the cutting process creating a high quality edge. 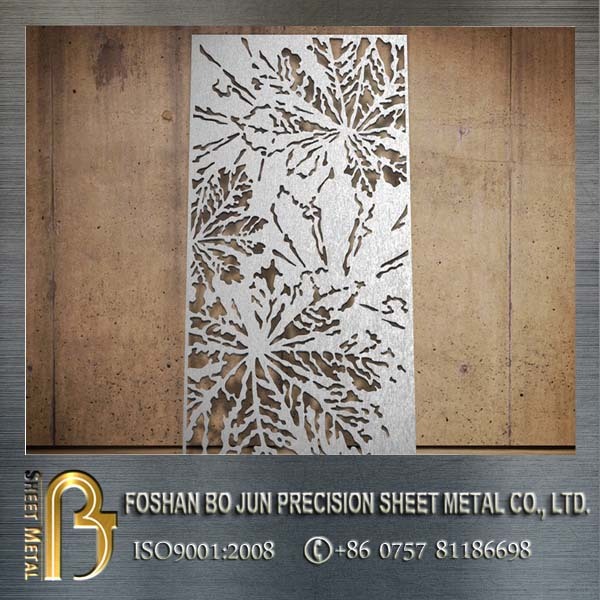 Carbon Steel up to 1" Sheet Size:60" X 120"
Sheet cutting size of 60" Zinc Plate up to 1"
Precision metal fabrication is a brand service from Bojun sheet metal.We prototype on drawings or sample.Different materials are avaliable.Bojun offer service of quick response,competitive price and excellent OEM service to customers requirement.If you have any inquiry on this service,pls contact us by mail. 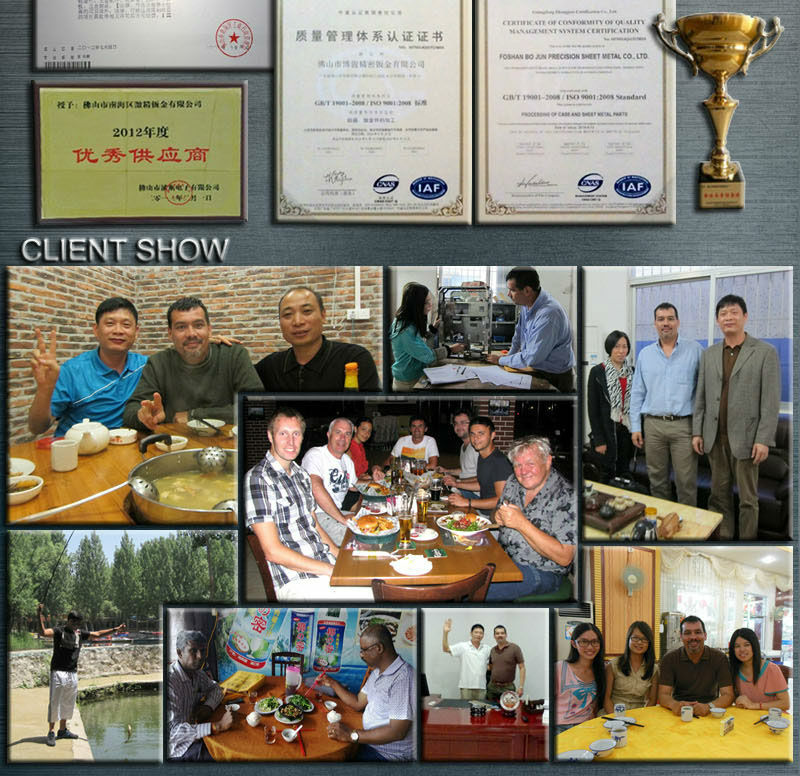 We handle careful and economic way for ocean shipping, like paper box,pallet,or carton. 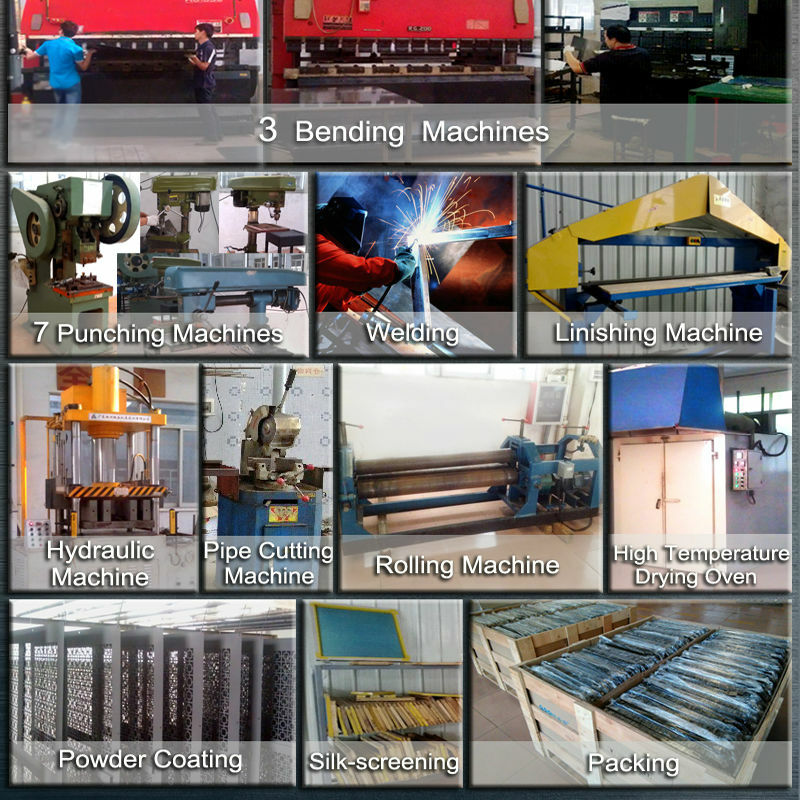 Package size and container loading quantity are calculated by engineers based on products size in order to work out a best solution. Every piece is fixed by protective foam,plastic tape,battern etc. to protect produts from shipping damage. 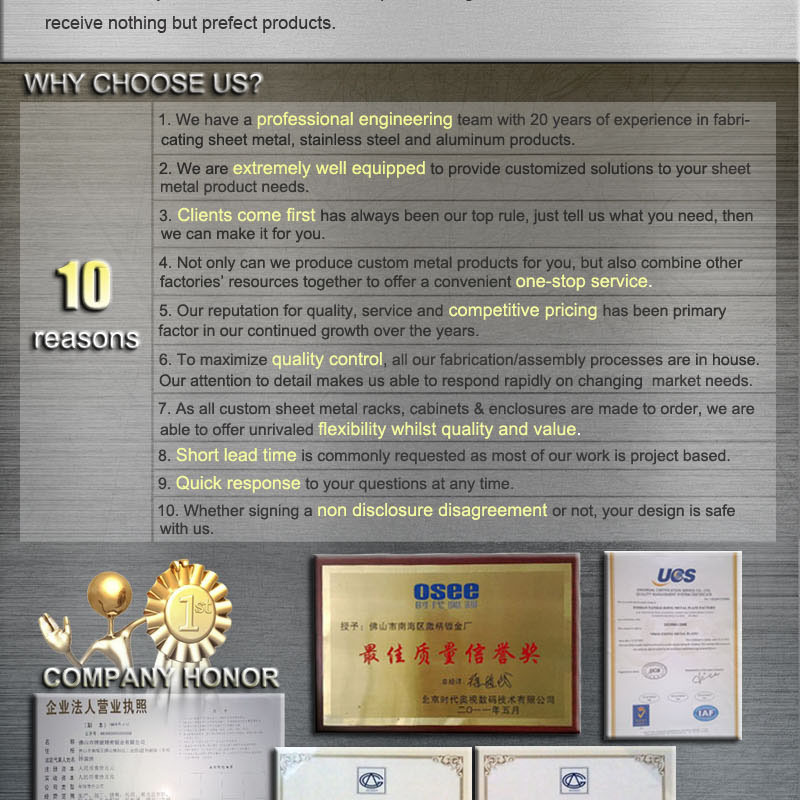 A:Yes, we are a professional metal fabrication factory with an experienced engineering team to make custom products according to clients’drawings. 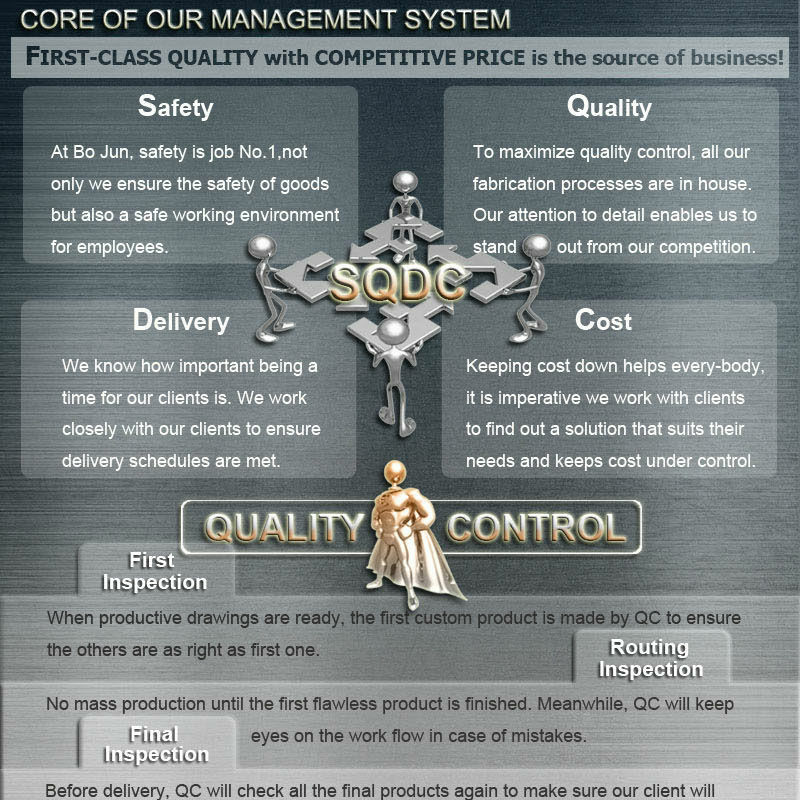 Q: Do you handle powder coating yourself? 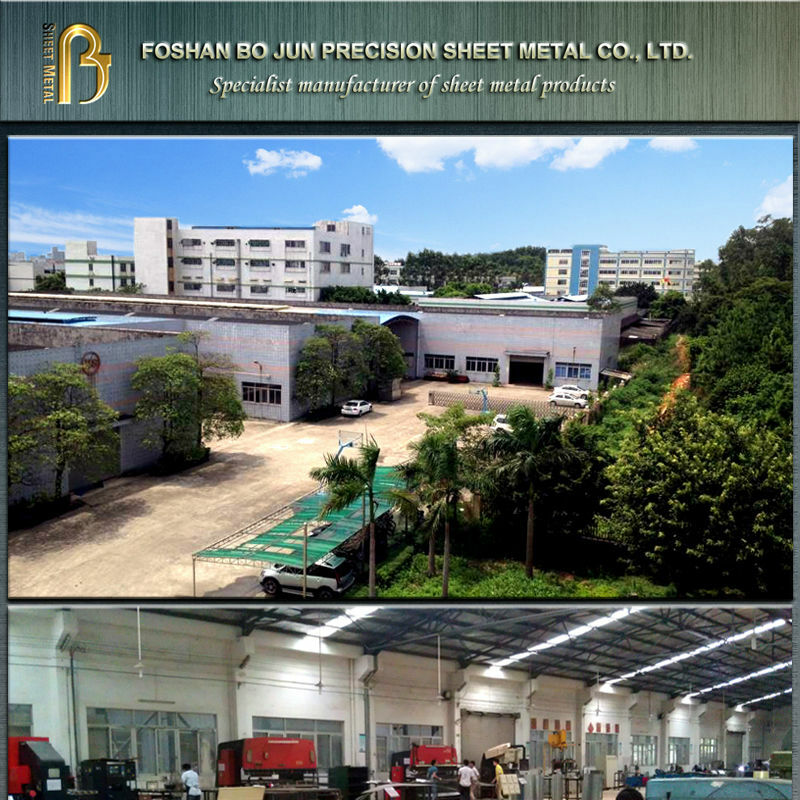 A: Yes, we are a professional sheet metal fabrication factory providing full set of manufacturing service including laser cutting, NCT punching, bending, welding(TIG, CO2 arc welding), grinding, belt polishing, powder coating&paint coating, silkscreen.